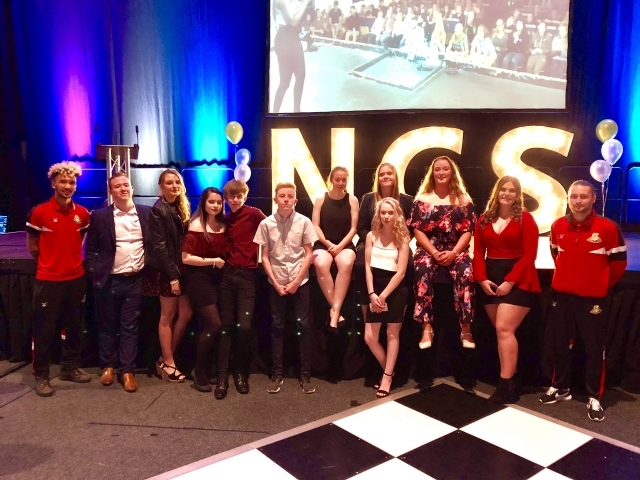 Almost 700 young people from across the Doncaster Borough celebrated their NCS graduation last night at the annual Club Doncaster Foundation event. An evening of awards, memories, music and food recognised a fantastic summer of success for the participants, who have spent three weeks of physically and mentally enduring challenges, along with a 30-hour voluntary community social action project. There to help them commemorate the night were Doncaster Rovers duo Alex Kiwomya and Alfie May, who were on hand to award them with their graduation awards. NCS Programme manager, Jan Budtz said: “This has been our biggest NCS summer to date, so I am extremely proud of all my staff and participants for making it one to remember. “The social action this year has been incredible, 667 young people delivered 21,780 hours of community work and managed to raise £12,473 for local charities, which is phenomenal. Guests at the graduation at the Dome included, RT Hon Dame Rosie Winterton MP, Andy Watson Vice Chairman DRFC and Gavin Baldwin, CEO DRFC, who were all invited to witness the incredible stories of a fantastic hoard of young people. The NCS summer programme allows young people to escape their comfort zones, embarking on an adrenaline filled adventure in the Lake District. They try their hand at activities such as rock climbing, kayaking, hiking and archery. They then return home to workshops delivered by Dame Kelly Homes Trust and then finally volunteer in a range of social action projects to impact on their community. 667 participants contributed to 46 social action projects, delivering 21,780 hours of community action and raising £12,473 for charities across the borough. NCS is open to all 15-17 year olds in the region and the Club Doncaster Foundation will begin recruiting in November for the next adventure, taking place in summer 2019. To find out more information, visit the website http://www.clubdoncasterfoundation.co.uk or phone 01302 764663.